A coincidence: a day prior to watching ‘Black Museum’, I re-watched Get Out. On its own, that’s not particularly noteworthy – if every review was crammed with lists of what else I’ve watched recently, it would get very boring very quickly. Similarly, if every Black Mirror review listed every single allusion, homage, pastiche, and inspiration within an episode, it wouldn’t really accomplish anything, other than a persistent devotion to reducing all culture to purely its constituent parts. But – and if ‘Black Museum’ were to be narrowed down to one rule, it’s that there’s always a ‘but’ – let’s throw all of that qualification over why I shouldn’t start here by mentioning Get Out, and start by doing exactly that. Because in more ways than one, there is an undeniable overlap between the two materials. Most obviously, there’s the central science-fictional quirk, where one mind comes to house two. In Get Out, it’s through hypnosis and grindhouse-neurology; in ‘Black Museum’, it’s through the show’s typical method of technological ‘innovation’. Innovation, in inverted commas, because what we see here is presented as a kind of precursor to the stable builds of ‘San Junipero’ and beyond. The first, ethically challenged step for man, leading to the giant leap for mankind. In theory, the two methods are just separate routes to the same outcome. But that’s a rather reductive conclusion to draw. 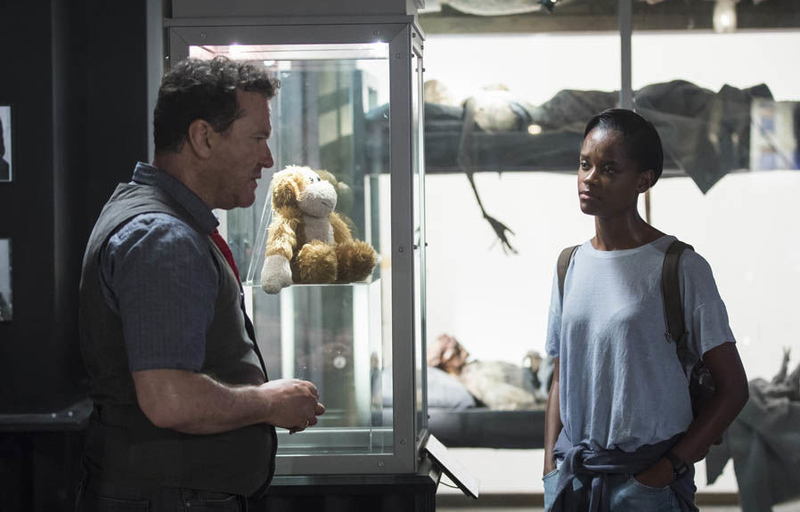 It’s also a conclusion that obscures the central problem with ‘Black Museum’: how it engages with race, once it draws upon it. The problem isn’t necessarily terminal. Further, drawing it into a comparison with Get Out generally, and specifically to this point, is completely appropriate given the overlap – and given the coincidental timing – but might not do the episode many favours, given Get Out presents a singularly significant threshold to try and even come close to. But then Black Mirror has in its own way represented the bar in some cases, so if it aims, and doesn’t quite reach, it is noteworthy. Get Out engages with racism, both as institutionalised and as specific to particular characters, as a wider issue, and in a wider way. Chris’ escape is ‘the happy ending’. Indeed, that ending was chosen because it was relatively positive – the emotional impact on Chris notwithstanding – in comparison to the original vision, where the police arrive to find Chris choking Rose, and look no further than what they automatically assume is happening, arresting Chris and presumably charging him for all the violence that was required for him to finally escape. But both endings are cast within a known context of unspoken ineffectiveness, where Chris’ escape is just that: his escape. Georgina never manages to retake control from Marianne Armitage, and dies in the car crash. Walter is reasserted over Roman Armitage, but takes his own life as his reality becomes clear to him. Meanwhile, Andre Hayworth, as well as the unknown number of other victims “rangled” by Rose and Jeremy, are presumably still enslaved, in absence of information to suggest otherwise. Jordan Peele has attributed the change to the ending where Chris escapes as reflective of changes in social awareness during the production, as well as because of the need for “an escape” and “a positive feeling when we leave this movie”. But that kind of specific escape, for Chris, never becomes a universal sense of escape that overrides the continuation off-screen. ‘Black Museum’, however, goes in the opposite direction in narrative, so that its similarly singular style of ending has a very different impact. Clayton Leigh’s (Babs Olusanmokun) execution and digital reincarnation. Nish’s (Letitia Wright) journey to put an end to his suffering, carrying along her mother’s consciousness inside her own. All of this forms part of one particular struggle that is framed as one particular struggle. Nothing more. Rolo Haynes (Douglas Hodge) causes untold trauma through his ‘recruitment’, and then through the grotesque spectacle of the Black Museum. So, ‘an eye-for-an-eye’ later, he is forced into untold trauma as revenge. There is certainly a degree of commentary in here, as in all of Black Mirror. But it’s in broad strokes. There’s the obvious strike; us, the viewers of Black Mirror, looking in disgust at the gleeful visitors to the Black Museum, as though – the suggestion goes – we’re not exactly the same as them. And more pertinently to the role of institutionalised racism and the prison-industrial complex on the narrative, there is the small acorn of a point made about the dangers of capital punishment, and how this overwhelmingly and disproportionately impacts African-Americans. Perhaps Clayton Leigh was innocent – his first assumption when Rolo mentions technology is of the possibility of a DNA review to exonerate him, and Nish, perhaps unsurprisingly, is certain of her father’s innocence. But it’s Rolo’s certainty that Clayton was guilty, and thus that his ‘punishment’ through virtual electric chair, over and over, is justified, in spite of the uncertainty Nish raises, that seals Rolo’s fate. But the point made there is more to do with the sincerity of activists – Nish is left to fight her father’s corner alone once the protestors move onto the next case – than to do with the institutions themselves. The acorn is of such a size that I can summarise it so bluntly as ‘the role of institutionalised racism and the prison-industrial complex’ without needing to go deeper. Part of this problem is in the narrative structure; it’s hard to make a more deliberate, multi-layered point when the narrative is only partly devoted to that point. Elsewhere, the episode concerns itself with getting to that point, where Nish’s real identity, and the non-coincidence of her visit, are revealed. So, like with ‘White Christmas’, we spent an equal amount of time on the ‘three stories’. For the first two, Nish is there to observe, or to be told the histories of the artefacts by Rolo. It’s only by the three-quarter mark or so that the narrative starts to engage with Nish’s part of the story. I’m certain that some critics will take issue with an ending that hinges on reciprocal punitive justice –in doing so returning us to the question I posed in the ‘USS Callister’ review concerning the morality of ‘an eye-for-an-eye’ – as if portrayal always equals endorsement. The classic critics foible, as seen with The Wolf of Wall Street, Three Billboards Officer Dixon (Sam Rockwell), and countless other instances. 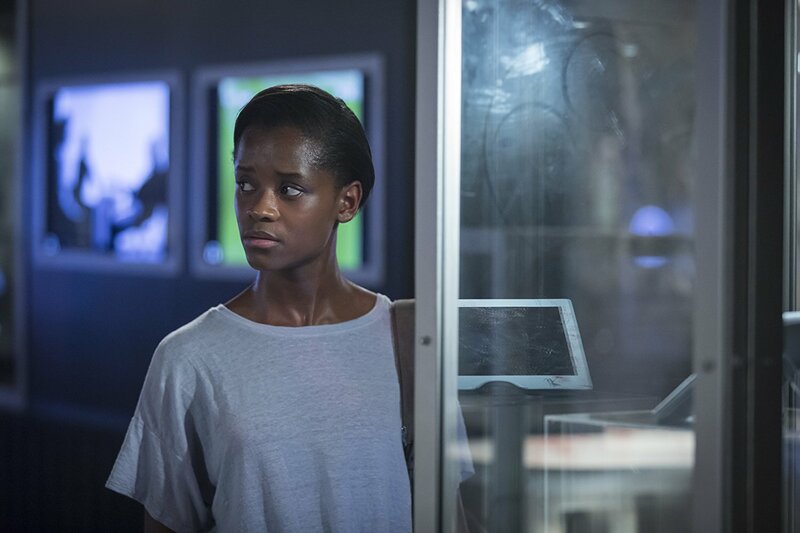 ‘Black Museum’ must thus endorse punitive justice, by virtue of the protagonist ending the episode by engaging in it. Rolo is forced to endure the same torturous version of reality he forced upon Clayton Leigh, only amped up to 11. Or, in this case, amped up to about 14 or 15. Just as Rolo emotionally, metaphorically burnt down the houses of those earlier in the story through his involvement, so too is his house and life burnt down by Nish. 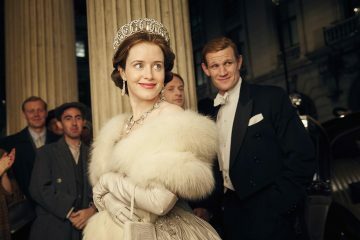 The idea that by showing this, the show is explicitly supporting this, is ridiculous, especially with Black Mirror, which functions as a technological cavalcade of maliciousness and counter-maliciousness. It’s not an offensive ending, then. But I’m not entirely sure it’s a good ending. Putting aside the minutiae and bloodshed – though if someone is virtually electrocuted, is there actually any blood? – what can be said to happen is that Nish does what she came there to do, with little to no complication. She drives away with two companions: her mother Angelica (Amanda Warren) safely and agreeably sharing her brain, and Carrie (Alexandra Roach, with a very broad American accent not completely masking her familiar Welsh) along for the ride too in her cuddly-toy form. It’s a slight curiosity that we don’t get a final glimpse of the departure from Carrie’s point-of-view, as though we’re meant to question whether she’s really still in there. But the whole thing is slightly neat, and slightly flat. ‘White Christmas’ ended its mini-anthology with the terrifying thread of cookie-Joe’s perpetual Christmas-themed nightmare hanging loose, as well as with Matt (Jon Hamm) facing up to a life while blocked by everyone. ‘Black Museum’ ends its triptych – and indeed, the season overall – with a road-trip, another kind of journey into the unknown. But it’s far more general an ending than we’re used to on the show – yes, ‘San Junipero’ ended on one, but let’s not forget the small difference of that being a virtual road trip – one that draws a line under proceedings, one that offers the possibility of ‘new beginnings’. Perhaps the refreshing calm of this makes for a welcome variation from the Black Mirror norm. But it’s a general ending because it’s one used in some form in a hundred different places, in every different medium. Unless this is the end. Not just of the episode, or the season, but of the show. It has to end sometime, right? 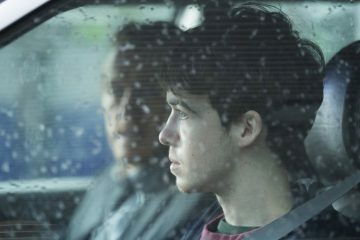 As an anthology show, Black Mirror doesn’t have the possibility of a grand finale. But ‘Black Museum’ certainly could be that ending. It wouldn’t change the issues with the episode. But it would make a degree of sense. The function of the Black Museum as a microcosm of the show, complete with a host of easter eggs drawn from episodes past. 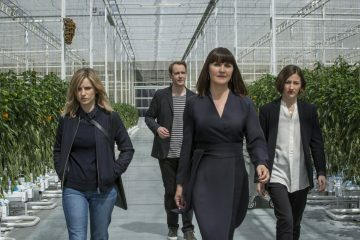 The appropriateness of a show like Black Mirror, about versions of the future, about which side the dice will fall on, ending with that journey into the unknown. Even the musical cue of Dionne Warwick’s version of ‘(There’s) Always Something to Remind Me)’ playing through into the credits. “How can I forget you/When there is always something there to remind me?” It’d be a shame if Black Mirror did end – 19 episodes is nowhere near enough to truly run out of ideas. But if this is it, then it’s not a bad way to bow out.